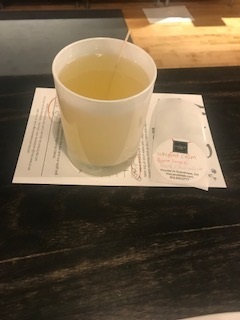 On March 7, our friends at The Candle Lab in Grandview were gracious enough to donate 20% of each purchase to Kitchen Kapers. Throughout the day, our supporters and members stopped in to buy candles and other products. Then in the evening, some of our members went to the store for an interactive experience. Each member got to choose a candle, body scrub or bubble bath to make. 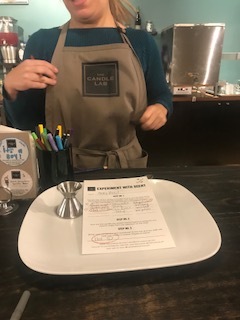 The staff at The Candle Lab made it such a fun and easy experience, helping us select scents that mix well together and assisting us as we made our very own creations. 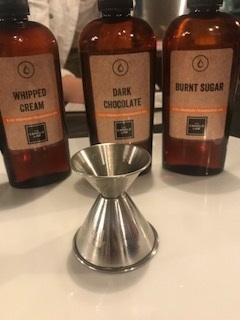 If you haven’t visited The Candle Lab to make your own product, put it on your to-do list! 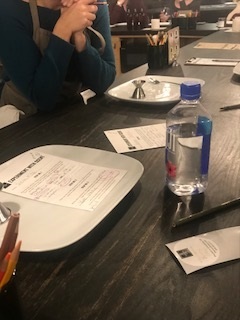 Our members had a great time socializing and doing a hands-on activity, all while knowing that a percentage of their purchase proceeds would be going to Kitchen Kapers. Thank you to The Candle Lab for their partnership, and if you made a purchase that day, we also owe you a thank you! Every dollar moves us closer to our goal of continuing to support those going through cancer treatment. Sometimes we are asked- what is integrative care and what are the benefits? Integrative care includes offerings such as acupuncture, art therapy, integrative physician consultation, massage therapy, cancer rehabilitation, mind-body therapies, nutrition counseling and more. It enhances patient healing and improves quality of life. If you are interested in joining our group of volunteers, we would love to have you. Not only will you be helping those battling cancer, you will enjoy tour day and all of the other meetings and social events that we have each year. It is a great way to build lasting friendships while supporting a worthy cause. Remember to mark your calendar for this year’s home tour slated for Sunday, September 9, 2018 from 12-5pm.